Leys are alignments of sacred sites, often converging on a holy hill, and linked to the sun or moon, e.g. aligned with sunrise at the summer solstice. Our prehistoric ancestors recognised these lines of sight and marked them with our most ancient monuments, including standing stones and burial chambers. Also known as spirit paths, leys can be dowsed and must be of divine or mystical significance, leading to the conclusion that the earth is a living landscape connected to heavenly bodies. Does Father Sky fertilise Mother Earth at certain places and at special times, do the leys spread this fertility throughout the land? Leys are obviously associated with death but also with the needs of the living, who use them to travel. The term Ley (never say ley line!) was used by Alfred Watkins in his seminal book The Old Straight Track (1925). Stones marked the way and were, perhaps, dedicated to Mercury and assisted merchants to reach their markets. Mercury could be equated with Hermes, Thoth and Toutates. Whilst leys are straight, dowsers such as Hamish Miller and Paul Broadhurst ( The Sun and the Serpent , 1989) found male and female earth currents coiling around them. Other patterns in the landscape are terrestrial zodiacs, such as The Glastonbury Zodiac , described by Mary Caine in her book of that title in 1978. Other notable authors to research leys include Paul Devereux, Robin Heath, John Michell and Michael Dames. Leys are an important feature of the living sacred landscape. Knowledge of leys enables us to work better with the spirit of the land for mutual benefit. This can include walking pilgrimages, even singing. Dreaming at sacred sites can be rewarding. ​Modern archaeoastronomers recognise alignments which are leys by fail to acknowledge this fact, thus following in the footsteps of the editor of Antiquity who notoriously refused a paid advertisement for Alfred Watkins' book in the 1920s. Perhaps they are afraid of the spiritual side of leys. Open the window on leys! 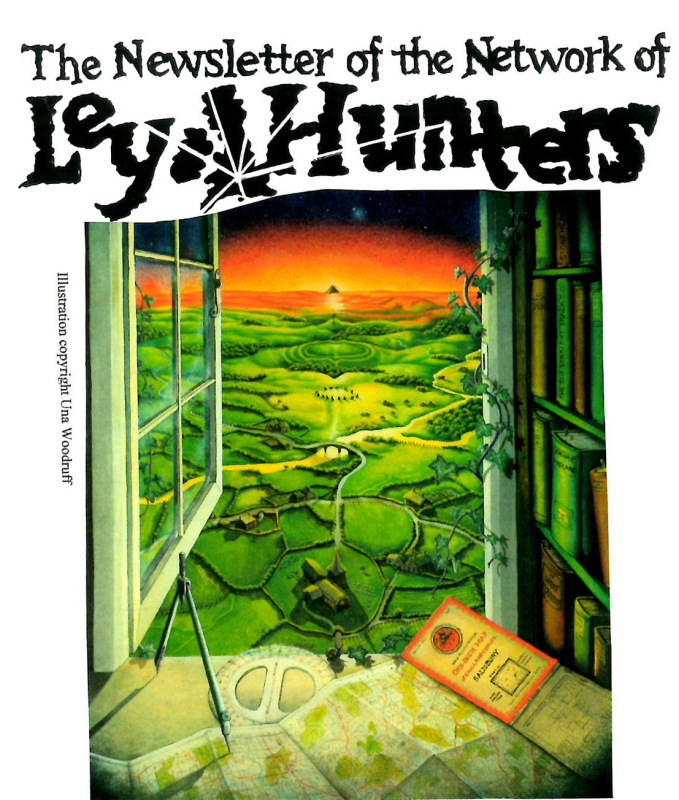 The Network of Ley Hunters’ Newsletter is available on annual subscription of £15 (or £30 if from abroad). That brings you four quarterly 36 page issues and access to the Network’s activities including regular Moots. Please send a bank note or cheque (made payable to Network of Ley Hunters) to Laurence Main, 9 Mawddwy Cottages, Minllyn, Dinas Mawddwy, Machynlleth SY20 9LW, Wales, UK. Telephone 01650-531354. Please print your name and address legibly!